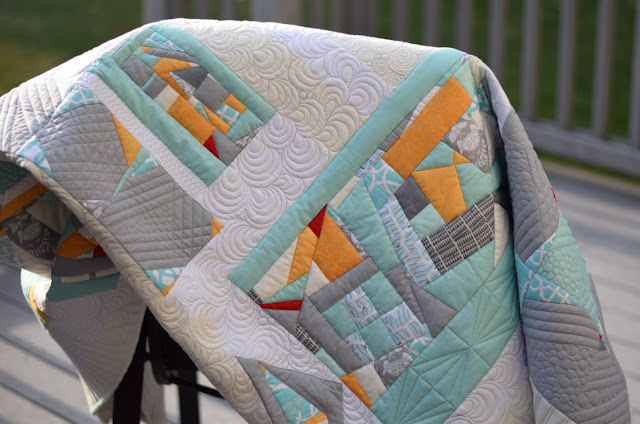 We are so incredibly excited to announce that our quilt, Controlled Chaos, took home a blue ribbon at MQX! Our quilt won in the Quilts Among Friends category. Guild member Lisa entered the quilt and very generously donated the prize to our Charity Quilt Fund. Five hundred fifty dollars will go a long way toward future quilts to benefit our community! You can view all of the MQX winners here. Controlled Chaos was originally created as part of the 2016 QuiltCon challenge and will soon be donated to a local charity. Our charity committee, Marie and Susie, did a great job with their vision for this quilt. 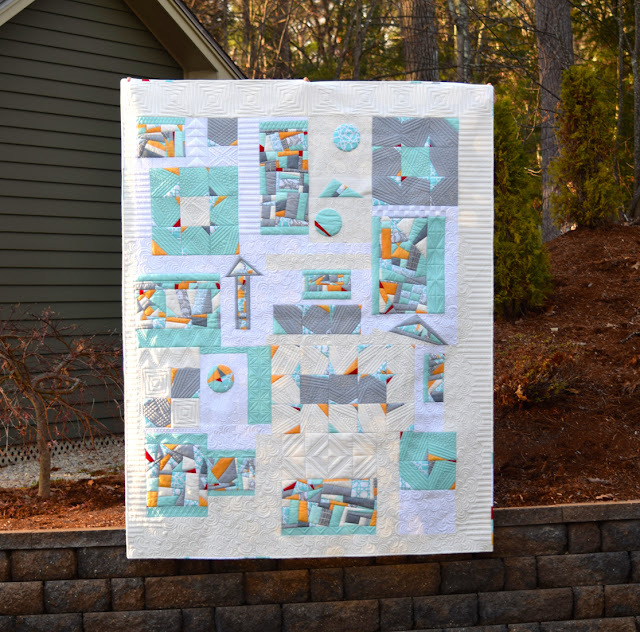 You can read more about the construction of this quilt on our website or on the Modern Quilt Guild page where Controlled Chaos was recently featured. Pieces by: Various guild members!